The error is "Is installed apache as service". When I code some php snippet and placed that php document to htdocs folder and then when I runt from browser. It reply me php code. 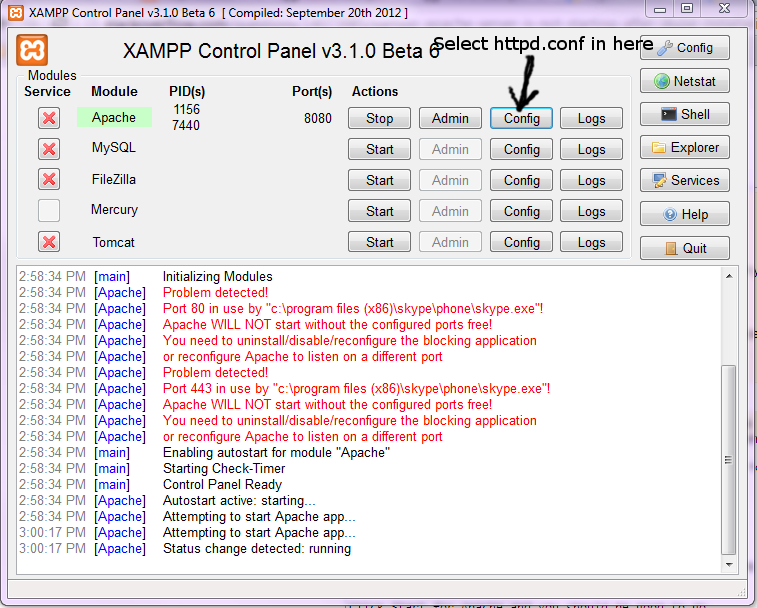 I already have changed port of apache. So what should I do? because port 80 and port 443 is using by Skype. Go to Tools -> Options -> Advanced -> Connections and uncheck the box "use port 80 and 443 as alternative". This should help.